We love Dainty Dotty and we feel she loved us. Just look at that smile. 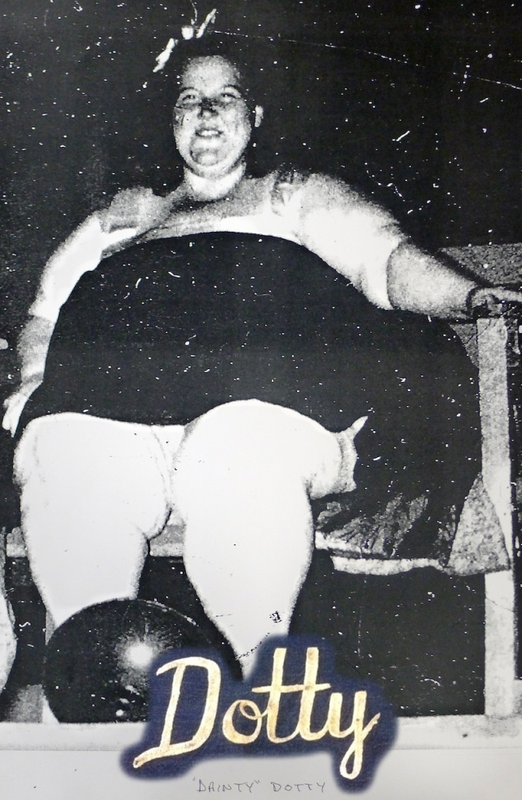 Through exhaustive research we believe that Dotty was indeed the Fat Lady sitting next to Major Mite in this famous story about the Rubber Man and Mae, the Tattooed Lady. Herewith and paraphrasing Albert Parry's, 1933 " Tattoo, Secrets of a Strange Art as Practised among the Natives of the United States." While on tour with a circus in the summer of 1927, the India Rubber Man fell in love. Professor Henri, in real life Clarence H. Alexander of Ypsilanti, Michigan could stretch his neck seven inches, his arms and legs twelve inches, He was fourty three years old, a professional freak since he was twenty three. His object of attention was Mae, a tattooed gal just twenty, a trooper less than two years. Their associates called them "Tattooed Mae and Rubber November," sadly noting that Mae lacked a trooper's psychology. She was a spectator, the Rubber Man was to her, not a fellow player and possible life mate, but a freak. While Henri Alexander was in love with her tattooings she was repelled by his deformity. She was frightened when he used his elastic magic to pass love notes to her over the heads of the fat lady (Dotty?) and the midget (Major Mite?) sitting between them on the platform. 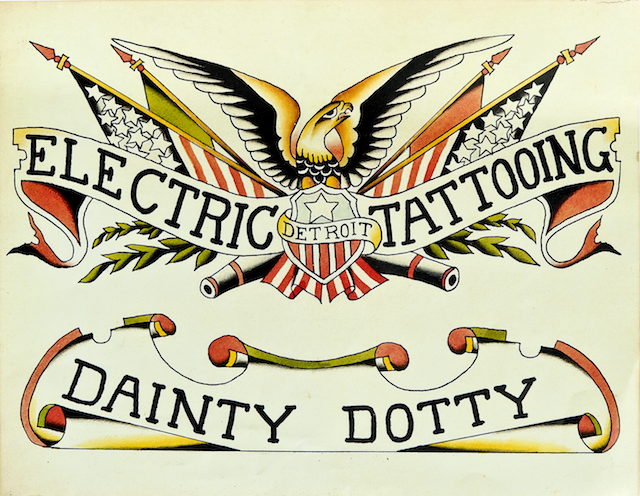 Could this be Dotty's first exposure to the magic allure of tattoos? She soon after gave up the fat lady career path and took up electric tattooing. A seemingly more gentile profession. She started in Detroit where she met and subsequently married Owen Jensen. Together they moved west to Sunny California, famously establishing themselves as tattoo artists on the Pike in Long Beach.